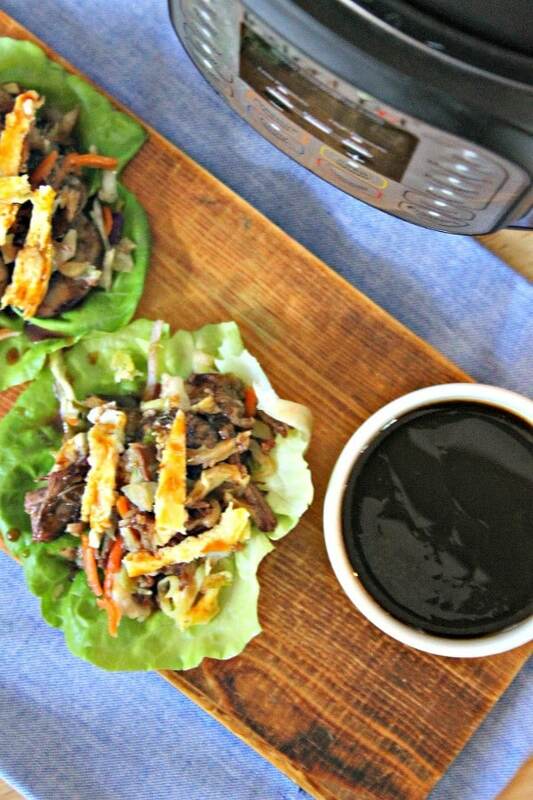 This Instant Pot Moo Shu Beef is one of my favorite Chinese recipes. Before I had my Instant Pot I’d rarely make the effort, but an electric pressure cooker makes this dish so much easier to prepare. 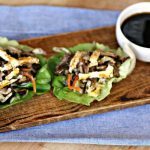 This Instant Pot Moo Shu Beef is full of amazing flavors and interesting textures. From the tender shredded beef, to the crispness of the fresh coleslaw I like to top mine with, this is one dish that you can’t accuse of being boring! What is Moo Shu Beef? Moo Shu Beef is a popular entree at American Chinese restaurants. Moo Shu chicken, pork and shrimp are also quite popular. Though the main ingredient varies, the other ingredients are always similar. Moo Shu dishes always include mushrooms, scrambled eggs, and cabbage. The sauce has familiar flavors of Chinese dishes from soy sauce, rice wine vinegar, ginger, and garlic. Reading the description, it might sound like a strange combination of flavors, but they work together remarkably well. The result is a dish that offers a complex and satisfying variety of flavor and texture. This dish isn’t complicated, but it does take time. This isn’t a meal for nights you’re in a hurry, but it is a meal that’s worth the wait. As I already mentioned, eggs are a critical component for Moo Shu Beef. They are one of the distinct ingredients that make the dish special. So, the first step is to prepare the eggs. You can also make them in a frying pan if you prefer, while the beef cooks later. 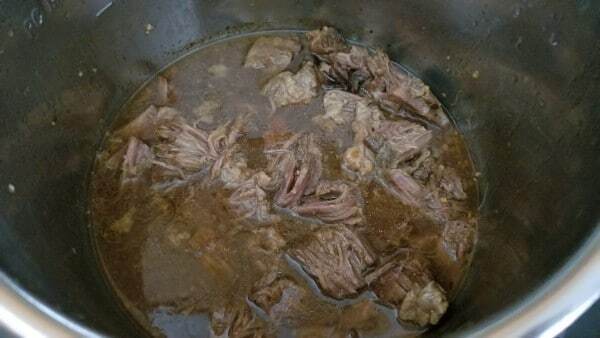 However, if you want to reduce dirty dishes, you can make them in your Instant Pot and it’s easiest to do it before the beef. Press the Sauté button and wait for the display to read “Hot.” Then, add a tablespoon of butter. 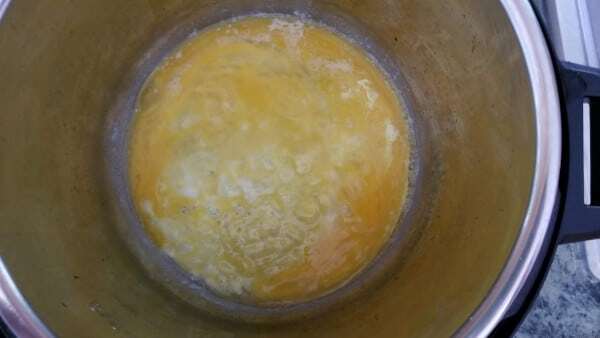 When the butter has melted, add two lightly beaten eggs to the pot. Cook for a minute or two, just until the eggs start to firm. Then, flip them over and cook for another 30 seconds. Remove the eggs from the pot to a plate and slice into thin strips. Turn off the pot. Remove the liner and wipe it clean. Next, set the pot to Sauté mode again and wait for the display to read “Hot.” Then, add three tablespoons of olive oil to the pot, along with two tablespoons of minced garlic. Cook for one to two minutes, then add a two-pound chuck roast to the pot. Brown the roast on both sides. Now it’s time for my favorite part of the dish, the flavorful sauce. 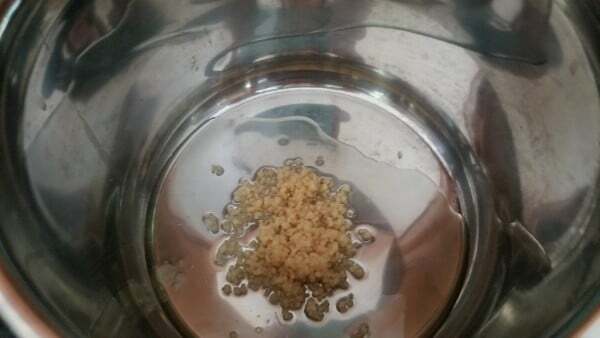 In a small bowl, combine 1/4 cup of rice wine vinegar, 1/2 cup each of hoisin sauce and soy sauce, a tablespoon each of sesame oil and brown sugar, and a teaspoon of ground ginger. Whisk them together to combine. Set aside 1/4 cup of the sauce and pour the rest over the beef. Secure the lid on the Instant Pot and set the valve to sealing. 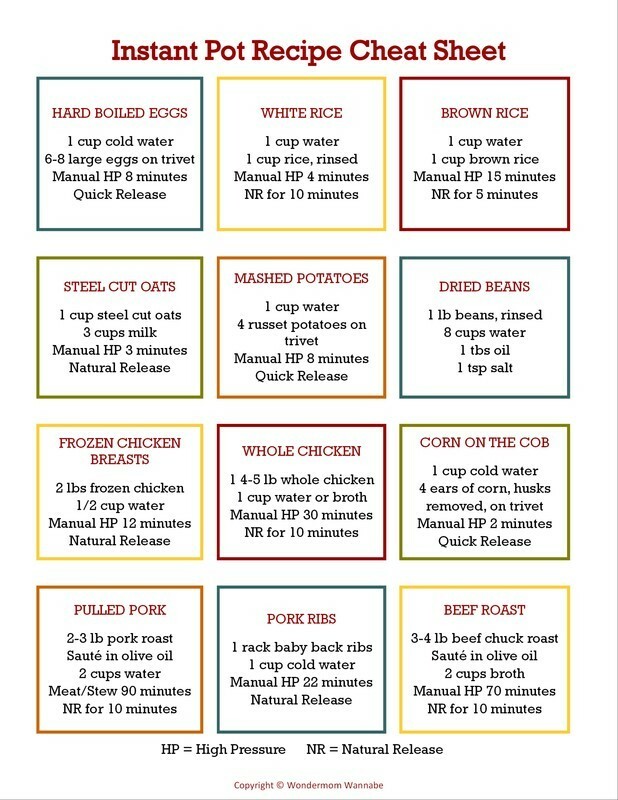 Press “Manual” (or “Pressure Cook” depending on your Instant Pot model) and set the time for 35 minutes. When the cook time ends, let the pressure release naturally for 15 minutes before turning the valve to venting to release the remaining pressure. Once all of the pressure has been released, remove the lid, press the cancel button and use two forks to shred the beef. The beef will be really tasty, but to finish the dish we have one more step. Add a pint of sliced mushrooms and two cups of coleslaw mix to the beef in the pot. Secure the lid again and press the Manual (or Pressure Cook) button again. Set the time for three minutes. When the cook time ends, let the pressure release naturally for five minutes, then quick release the remaining pressure. It has been a long wait, but your Instant Pot Moo Shu Beef is finally ready to serve! It’s delicious over rice. If you want to keep the dish low-carb, you can serve it in lettuce cups instead, which is how I enjoy it. Either way, once you’ve spooned it over rice or into a lettuce cup, top each serving with some egg and extra coleslaw mix. Serve with the extra sauce you set aside earlier. Ready to make your own Instant Pot Moo Shu Beef? Here are the exact measurements and summarized instructions. Set Instant Pot to sauté. When hot, add butter and allow to sizzle. Add eggs cook for 1-2 minutes until eggs begin to firm. Flip eggs and cook an additional 30 seconds. Remove, cut into thin strips and set aside. Cancel saute, remove inner liner, wipe it clean, then return it to the Instant Pot. Set Instant Pot to sauté. When hot, add olive oil and garlic. Cook 1-2 minutes. Add beef and brown on each side. In a small bowl, add vinegar, hoisin and soy sauces, sesame oil, ginger, and brown sugar. 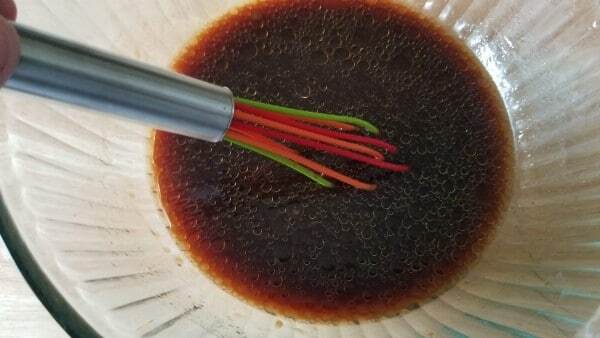 Whisk together and reserve 1/4 cup. 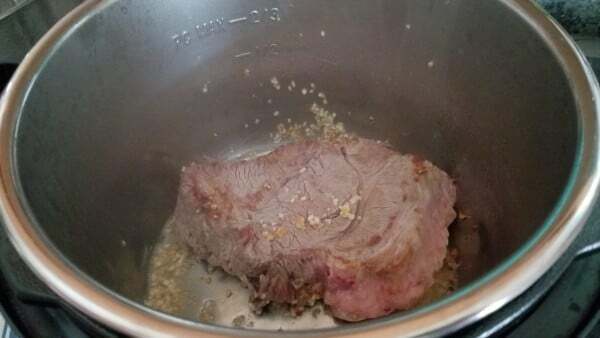 Pour remainder of sauce into Instant Pot, covering the beef. 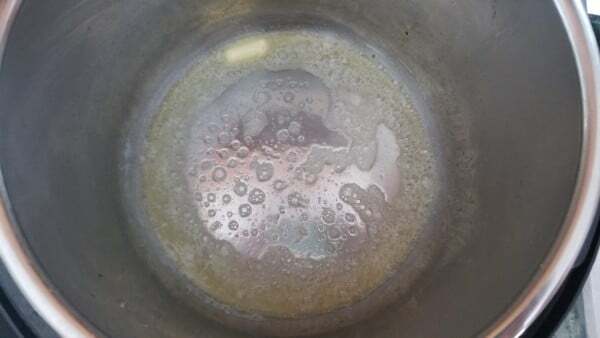 Set Instant Pot to high pressure for 35 minutes. When the cook time ends, let the pressure naturally for 15 minutes. After 15 minutes, turn valve to venting to release remaining pressure. When pressure is fully released, remove the lid. Using two forks, shred beef. Add mushrooms and 2 cups of the coleslaw mix to the beef in the Instant Pot. Secure lid, turn valve to sealing, press Manua and set Instant Pot to high pressure for 3 minutes. Allow to release pressure naturally for 5 minutes, then quick release remaining pressure. Turn off Instant Pot. 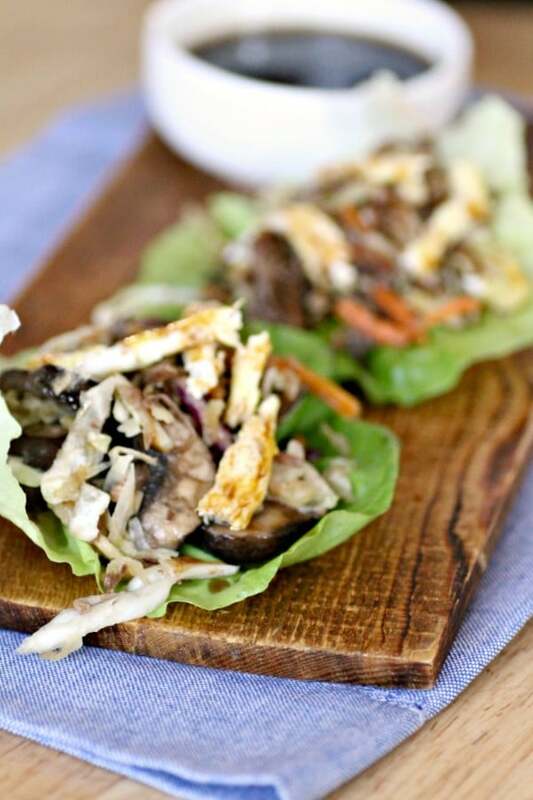 Serve over rice or add 2 tablespoons of Moo Shu Beef to individual lettuce cups. Top Moo Shu Beef with a few slices of egg and coleslaw mix. Drizzle sauce. Enjoy! If you enjoyed this recipe, don’t forget to pin it so you can find it again later! Made this tonight, and everyone loved it! I did use Oyster Sauce instead of Hoisin because I didn’t have Hoisin, so I just added an extra tablespoon of brown sugar. Really, really good! I served it with white rice. I probably would have liked it better in lettuce cups, so I’ll do that next time. Thanks for the good recipe! Your Moo Shu Beef recipe sounds delicious! So glad you shared with us at Merry Monday. See ya next week! I am wanting to try the Moo Shu Beef, but need some help. Regarding Rice Wine Vinegar: Seasoned or not? The one I use isn’t seasoned.